"When I first started writing songs they were terrible…" Abramorama & Apple Music have released the first official trailer for a documentary titled Songwriter, a film about the music of popular British musician Ed Sheeran. This film was a last minute addition to the line-up at the Berlin Film Festival earlier this year, but it played to dismal reviews and a very muted, forgettable response. "This personal portrait of the British singer-songwriter, filmed by his cousin Murray Cummings, follows this modest performer’s creative process as he writes a new song from scratch that will entrance millions. From an early-morning jam in the garden to the finished song, from the first chord to the honed lyrics." I don't know about everyone else, but it seems a bit too early to be making a doc about Sheeran, doesn't seem like there's too much of his story to share yet. 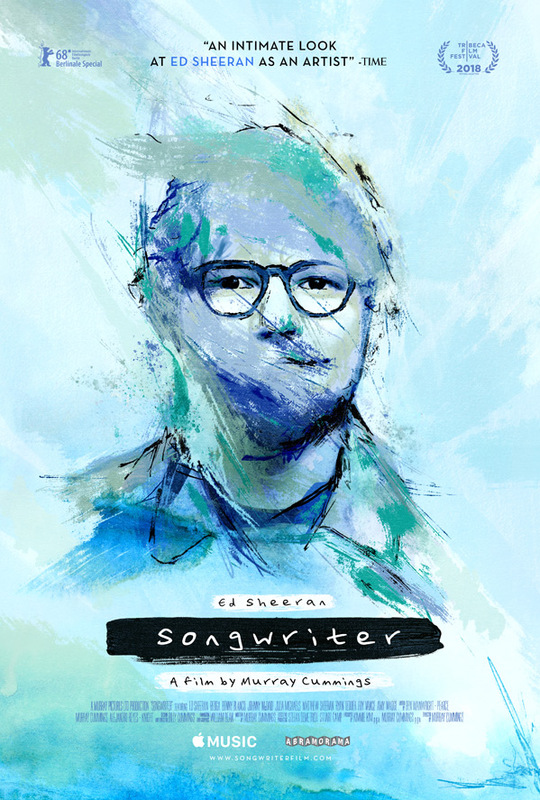 Songwriter is an intimate and personal look into the writing process of one of the world’s leading artists – Ed Sheeran. Filmed by Murray, Songwriter details the creation of Ed's third studio album "Divide" and gives an authentic insight into Ed’s life through never before seen home videos. Witness firsthand the creativity, from the very first chord to the finishing touch – as the sounds become the songs. Songwriter is directed by British filmmaker Murray Cummings, making his feature directorial debut after working on a few videos for Ed Sheeran previously. This premiered as a last minute addition to the Berlin Film Festival earlier this year. Abramorama & Apple Music will release Cummings' Songwriter in select theaters starting on August 17th, expanding nationwide on August 28th, followed by a VOD release. Is anyone interested?